In this online mind mapping software review, we evaluated professional online applications that tend to be more productive because of their mind mapping and export features. 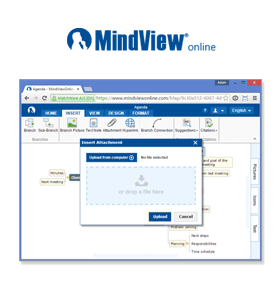 We have selected MindView Online, Mindomo Professional and MindMeister Pro as they seem to stand out, but users may also consider free applications like MindMup or Wisemapping though they are very limited in functionality. With all of these applications, creating the mind map is much easier than the pen and paper method, and they all allow users to create mind maps fairly easily. Online mind mapping software is often used for brainstorming, running meetings, and storyboarding written documents or presentations. Therefore, this review is focused on features important to these areas. 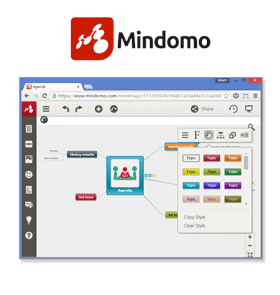 Both Mindomo and MindView Online are available in Desktop versions for PC and Mac, whereas MindMeister is a web / mobile application. There are some features included in all of these programs that are outside of the scope of this review. Our initial review showed that these 3 online mind mapping software program interface designs were very different. 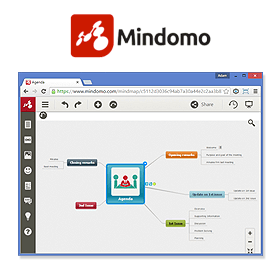 After some use, we found that both MindMeister and Mindomo shared some basic characteristics. 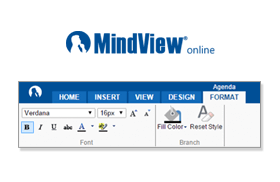 MindView Online, however stood out in that it is designed to look, feel and function like a standard Microsoft Office application. 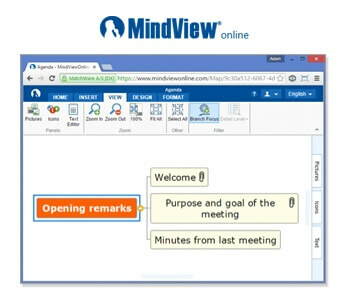 This made getting started much faster in MindView Online as compared to the other tools. Creating the mind map was intuitive in all 3 programs. The creation of the branches can be done in several ways by using dedicated interface icons or keyboard shortcuts. All 3 programs made it very easy to drag the branches to new locations, or reorder the topics. 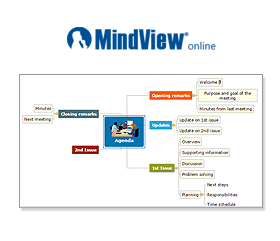 Both MindMeister and Mindomo allowed more flexibility on the placement of the branches than MindView. This was seen as a positive feature at first, but as the map grew, it became very cumbersome having to keep moving the branches to get the map to look balanced. MindView Online creates the map balanced at all times. When it came to formatting the branch colors, text and shape, MindView was the clear winner. MindView Online used a Design tab which affected the map globally, and a Format tab that was shown when a specific branch was selected which altered the selected branch. Both MindMeister and Mindomo have a properties inspector which did a nice job of organizing the necessary features, but it took too many steps for the desired results. The color picker was also somewhat tedious to work with, and in Mindomo, we were limited on colors that we could use for the branches. Imagery is a core component to mind mapping and all 3 programs allowed you to add a custom branch picture to your map with a few mouse clicks. The images were all visually resized to look good in the maps and could be placed at any branch level. When it came to clipart, the programs varied a great deal. 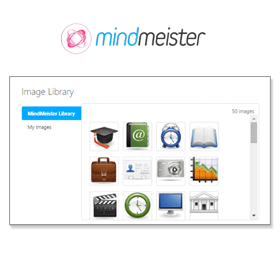 Both MindMeister and Mindomo had very basic and somewhat limited clipart, forcing the user to have to provide mostly their own imagery. MindView Online provided more than 2000 high quality category driven clipart images which proved to be extremely useful when creating a mind map. 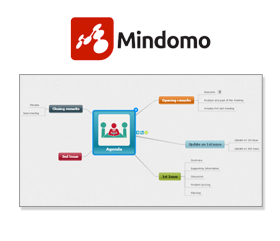 Out of the 3 online mind mapping software programs reviewed, Mindomo offered the most view options, as well as the ability to change the map view at each branch level. 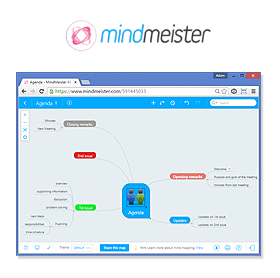 MindMeister had the traditional views in most mind mapping software programs, mind map, left-right and org chart. 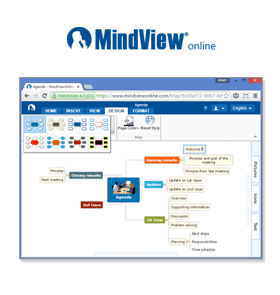 MindView Online was limited with only the standard mind map view. Out of the 3 programs reviewed, the mind map view in MindView Online was more visually balanced and professional, although we would have liked to see a few other view options. 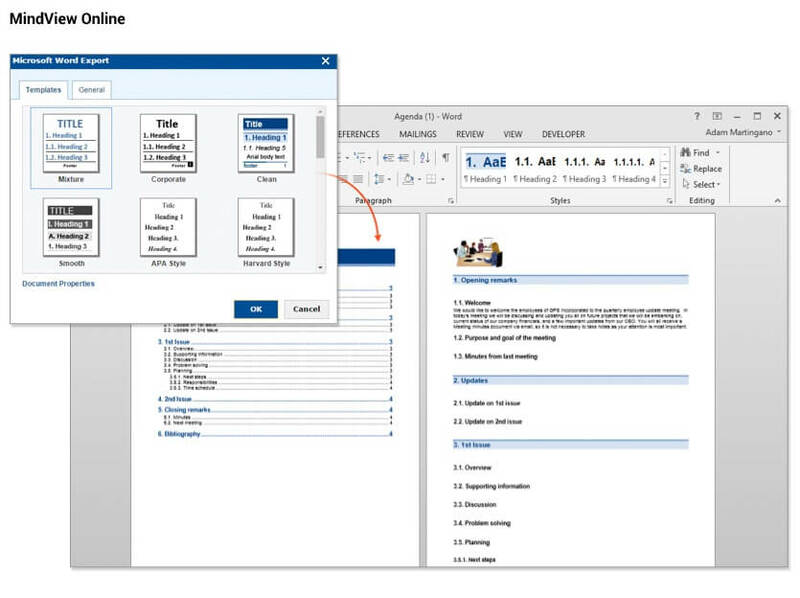 Mind mapping is all about productivity, and when it came to exporting the Mind Map into a meeting ready report or presentation, MindView Online provided the most robust integration with MS Word and PowerPoint. 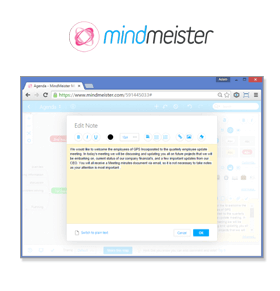 For this review, we have provided screenshots from the MS Word export from MindView Online and MindMeister, as they were the most comprehensive. All 3 programs did a nice job of converting the organic mind map structure into linear MS Word document. The big difference came when we looked at the customization options in MindView Online. 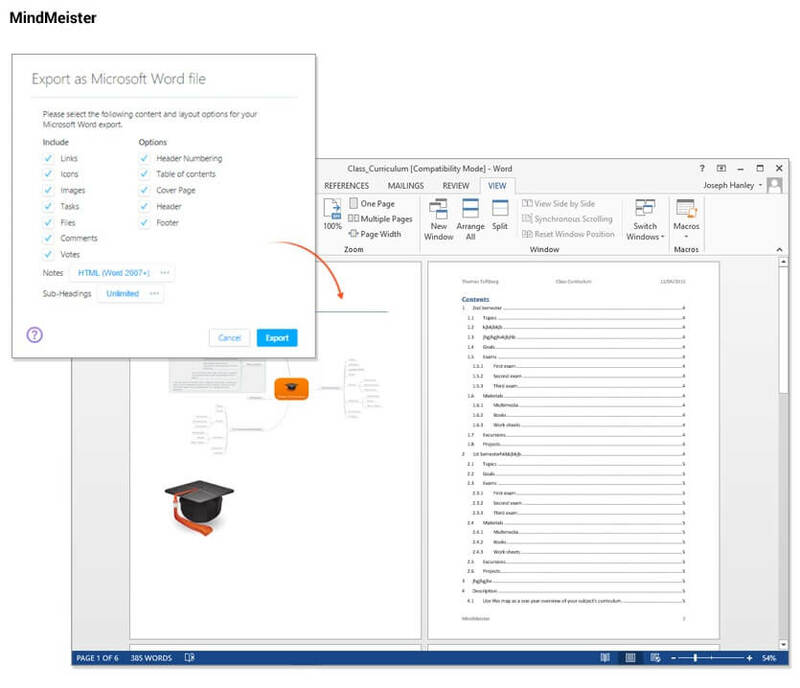 Both MindMeister and Mindomo created the Word document using a basic style template, and required a bit of customization in MS Word to get it to look good. With MindView Online, it was a much more professional export experience and the creation of document was ready to go without any continued work. Mind Mapping requires the inclusion of supporting information on the branches in the form of text notes, file attachments and more. There should also be visualization features that allow a user to navigate a large mind map and present each topic in a clearly understood manner. All 3 online mind mapping software programs allowed us to take text notes on the branches. Each contained a nice text editor with the features you would expect, font style, size, color, bullet points, etc. 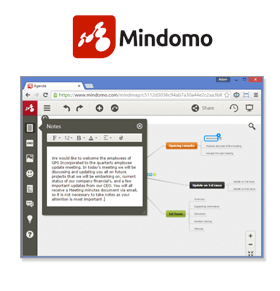 Both Mindomo and MindView Online provided inline text creation with the full editing capability, whereas MindMeister allowed you to quickly type a text note, but you had to open an advanced text note editor to format the text. This proved to be cumbersome because you lost the overview of the map while editing the text, thus slowing down the mind mapping process. All in all, we felt that MindView Online had the best text note functionality due to the placement of the text not editor and the simplicity of formatting the text. Adding attachments and hyperlinks is essential to the mind mapping process. Since the branches are simply main talking points, the addition of external links allows a user to provide detailed information to support the branch topic without overloading the user with additional branches and details. Mindomo and MindView Online had a more traditional method of adding this type of data. An interface icon launched a simple dialog for browsing or dragging and dropping a file attachment or hyperlink. 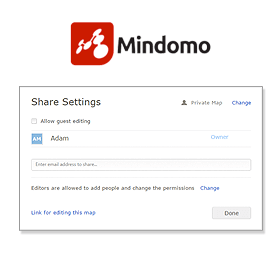 Mindomo however required you to first upload the file as a multimedia object, then link to it, so it required 2 steps rather than just browsing for the file like we were able to do in MindView Online. 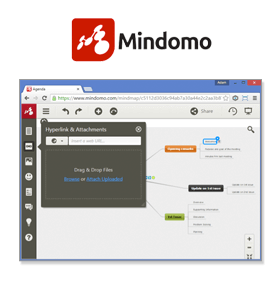 Mindomo and MindView Online functioned similar and had favorable results when launching a file attachment. 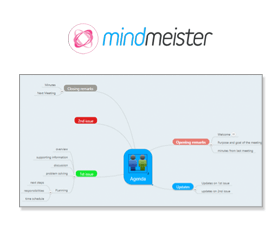 MindMeister utilizes their property inspector for adding attachments or hyperlinks. We found this to be a bit tricky to locate and cumbersome to use due to its size. 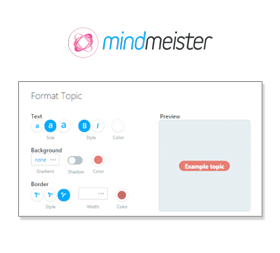 When launching the file attachments, MindMeister had a nice feature that showed a preview of the attachment, but the text was not clear because it shows a smaller size preview. It also tried to open the attachment using Google Docs rather than the native program. When customizing the map style, all 3 online mind mapping software programs had some nice features. 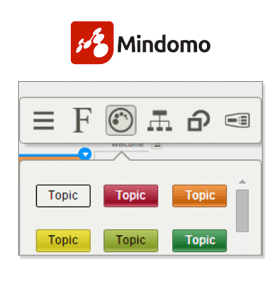 Mindomo had a very simple-to-use floating tool bar that was launched when right clicking on a branch. You could quickly change the branch font, color, style, etc. As stated earlier, you can change the map view per branch which was nice in theory, but proved to be very time consuming to get the map to look balanced since some branches used a mind map view, and others used a top down view, etc. 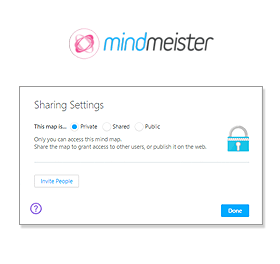 MindMeister used their property inspector, which had some presets, but again required you to open an advanced editor to truly customize the map. MindView Online had several professional map styles pre-made that you could quickly apply and see a live preview just by hovering the style. You also have quick access to the Design and Format tabs to change or customize the map and branches. Showing a relationship between branches is key to mind mapping. 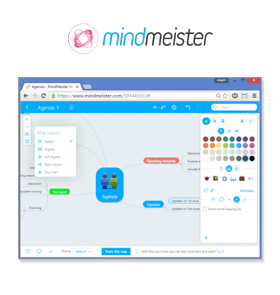 Both MindMeister and Mindomo allowed for customization of the relationship line’s color, etc. All 3 programs allowed you to customize the angle and direction of the lines. What stood out about MindView Online, is that when you create the relationship line, there is a dynamic link created as well. This is very useful in communicating a flow or process visually and interactively. The relationship was also transferred to the MS Word export creating a bookmark between the sections that were linked in the mind map prior to exporting to MS Word. We were disappointed in all 3 programs for their lack of filtering capability. 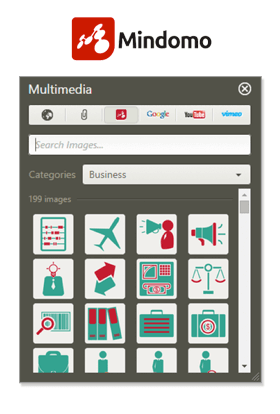 MindMeister and Mindomo had a search feature, however it was the same as the standard Browser search. 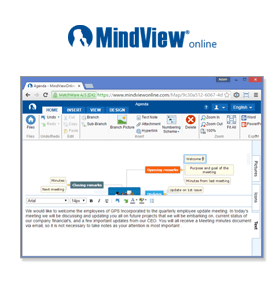 What stood out among the 3 online mind mapping software programs was MindView Online’s Branch Focus feature. Mind maps get big quick, and without a filtering capability it became overwhelming to overview. Sure you could show specific levels, but MindView Online allows you to select a parent branch or sub branch and apply Branch Focus which hid the remaining branches so that you only saw your desired selection. This proved very helpful when working on the map and presenting the branch data. Sharing a mind map between users is very helpful. All 3 programs allowed you to share a file easily with another user by simply adding their email address in the Share dialog as well as grant them read-only or editing capabilities. 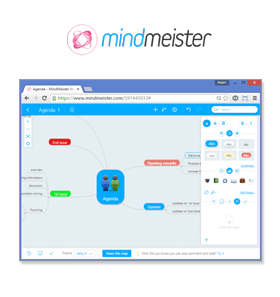 MindMeister and Mindomo took this to a further level allowing you to make a map public or private for other program users to access for use in their own work, or for inspiration on a map they may be working on. 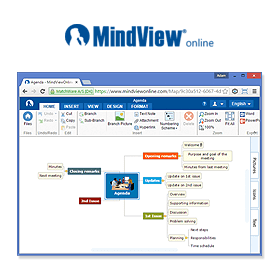 Based on the criteria set forth in this online mind mapping software review, MindView Online proved to be the winner, scoring 42 points, followed by Mindomo with 36 points and MindMeister with 31 points. All the software programs were extremely powerful and productive, each boasting their own specific highly rated features, however when looking at the program in its entirety, we found MindView Online to be the winner.